Rail fares have increased twice as much as pay since 2010, according to new research ahead of news on how much prices will go up next year. The Government links the annual January rise in Britain's regulated fares with the previous July's Retail Price Index (RPI) measure of inflation, which will be announced by the Office for National Statistics (ONS). They increased by 1.9% in January, but the RPI figure for July this year is expected to be around 3.9%, which would lead to the highest increase in fares since 2012. An analysis by the Rail, Maritime and Transport union (RMT) showed that rail fares have risen by around 32% in eight years, while average weekly earnings have only grown by 16%. The rises mean for example that a new nurse or police officer commuting from Chelmsford to London, where an annual season ticket would cost £4,000 after the latest rise, would pay 20% of their salary on an annual season ticket, said the union. RMT general secretary Mick Cash said: "Government policy of suppressing workers' wages while at the same time presiding over corporate welfare on our privatised railway has resulted in a toxic combination of fare rises easily outstripping wages. "The private operators and government say the rises are necessary to fund investment but the reality is that they are pocketing the profits while passengers are paying more for less, with rail engineering work being delayed or cancelled, skilled railway jobs being lost and staff cut on trains, stations and at ticket offices." Fewer than half (47%) of passengers are satisfied with the value for money of train tickets, according to the latest survey by passenger watchdog Transport Focus. TUC research showed that UK commuters spend up to six times as much of their salary on rail fares as other European passengers. 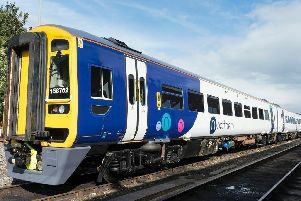 As fares for passengers rise, private train companies paid out £228 million in dividends to their shareholders, while the taxpayer handed £3.2 billion to these companies last year, said the union organisation. TUC General Secretary Frances O'Grady said: "This is grim news for commuters, who are facing another year of fare hikes. Overcrowded and understaffed trains are costing them more and more. "Meanwhile it's pay day for private rail companies, whose owners gifted themselves nearly a quarter billion in dividends last year. "Enough is enough. It's time for rail services to be publicly owned, saving money for passengers and taxpayers alike." Shadow transport secretary Andy McDonald said the Government "simply can't justify allowing passengers to be ripped-off under privatised rail". "It is outrageous that UK commuters pay over the odds in order to subsidise travel in France, Germany, Holland and Italy and generate huge profits for private train companies," he said. "The Tories ought to be standing up for the interests of the travelling public rather than the private and foreign state-owned companies who run our railways. "The Retail Price Index should be scrapped as the measure for increases and replaced with the lower Consumer Price Index." A Department for Transport spokesman said: "The Government carefully monitors how rail fares and average earnings change, and keeps under review the way fare levels are calculated. "We are investing in the biggest rail modernisation programme for over a century to improve services for passengers - providing faster and better trains with more seats. "We have always fairly balanced the cost of this investment between the taxpayer and the passenger. We are driving the industry hard to improve efficiency to ensure we maximise the value of passengers' and taxpayers' investment in the railways. "Regulated rail fares are capped in line with inflation for next year."